I’ve had an injury for past 14 months. My first port of call was sports physio. I have had good results in the past. I’m prone to imbalances in leg strength. When one leg is weaker than the other, it can cause problems elsewhere in the body. Several years ago, I had a bad knee problem which ruined a few seasons. The physio was very good in diagnosing weak leg. Strengthening exercises solved the problem. This year the troublesome leg has also been weaker – at least 25% measured on a leg press. So I have been doing leg exercises to make the right leg stronger. But, even after a few months of physio and leg strengthening, the problem persists. Now, there is no imbalance in strength, so I went back to an osteopath. His diagnosis was that a lot of the muscles in the right leg were very tight. To him massage and stretching were key. If a muscle is very tight, strengthening it can make it even more taught. When there is lack of flexibility, it can cause over muscles to be overworked. So, that’s current situation. Trying to strengthen legs (physio) and stretching the muscles out afterwards. Hopefully, between the two, it will clear up soon. Stretching is something I have always paid lip-service to in the past. One of those things I may say on a blog – a good thing to do. But, in practice, my efforts were mostly perfunctory. Now, I’m stretching with a lot of discipline and feel it might be helping. September and October are a great time to be cycling. 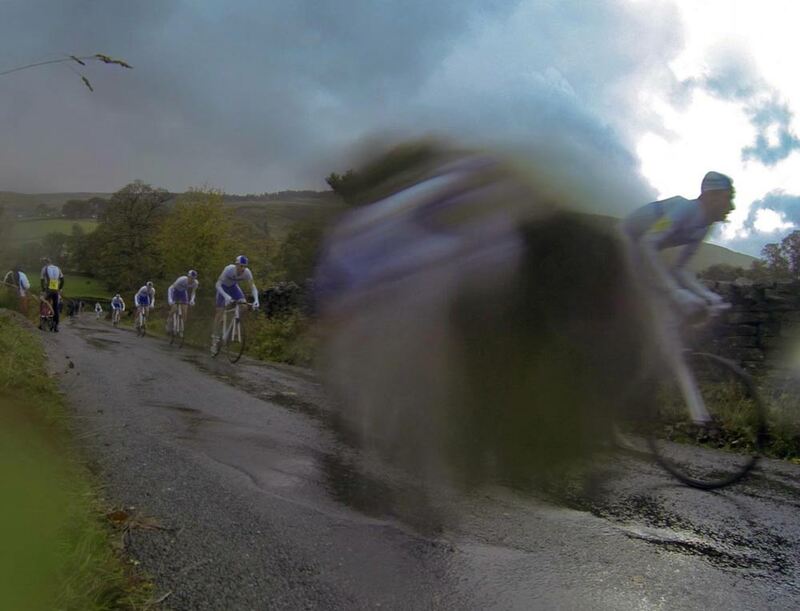 I miss the hill climb season – even if just the travelling around the country in autumn. Through the hill climb season, I got to see some beautiful parts of the country I never otherwise would have visited. After finishing the National 12 hour time trial championship this June I had two or three conflicting and, at the same time, complementary thoughts. That was really painful – I’m not doing that again. I really want to do a 24 hour time trial championship. Whenever I do 100 mile time trials, I always think. I just about survived that, but there is no way I could have kept going for another hour, let alone eight. So I hope the same logic applies going from a 12 hour to 24 hour. 2015 has been a good year. I did a record annual mileage – despite tailing off in November and December. I won quite a few races, though missed my pre-season goal and didn’t get on any podiums at the National championships. In some ways, the highlight of the year was an unexpected 7th place at the British Time Trial Championship – which is ironic because I always doubted whether I would be able to actually ride until about 10 minutes before my start. It was a really great experience, with closed roads, racing on the motor circuit, but whether I will do it again I don’t know. Perhaps the best thing was getting on telly for seven seconds as the commentators talked about Alex Dowsett’s great form. 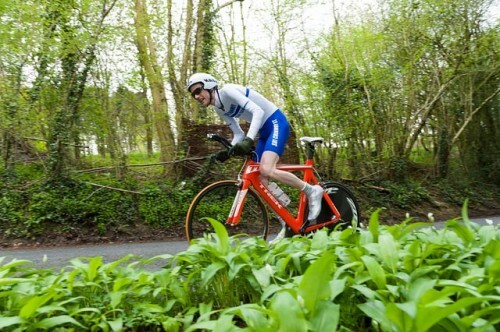 I trained a lot for the national 100 mile TT, but came 7th – compared to 3rd the previous year. I wasn’t far off a medal, but it wasn’t to be. More than ever, I feel that sporting courses are much more fun that blasts along dual carriageways. 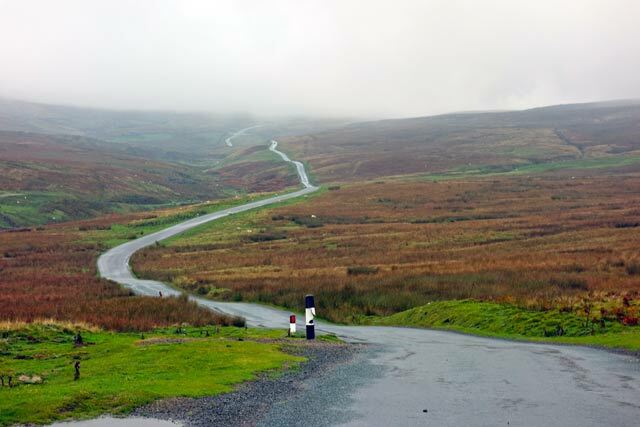 Other season highlights were racing the Circuit of Ingleborough and Little Mountain time trial. Even if you have to do it in bad weather, when you’re not particularly fit, they feel more like the essence of the sport to me. 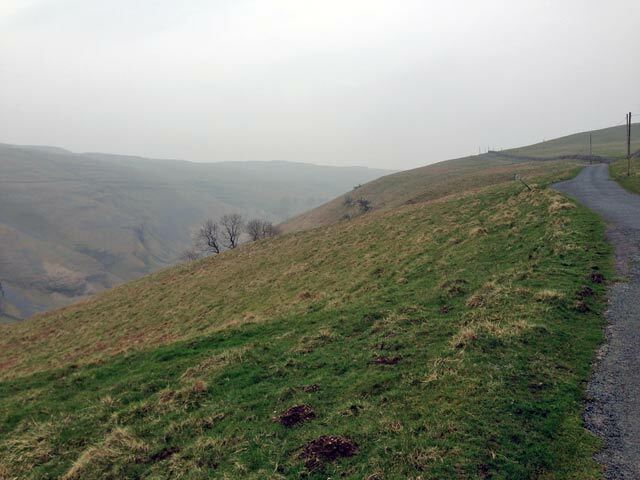 (plus, I do better on the hills – which is another personal reason to like them). Still mid summer, you don’t have much choice in timetrialling. The low point of the season was spending all season waiting for a Bioracer skinsuit and when it finally came, it was wrong size and I had to send it back twice. Probably takes the record for both the worst service and the most expensive piece of clothing I’ve ever bought. I’m sure it would have helped to save a few seconds in big races. That’s the trouble with timetrialling, it’s more than ever a sport of marginal gains and aerodynamics. If you want to go faster, spend a lot of money in aero testing. I’d rather just ride the bike and I’d be quite happy to ride Japanese Kieren style (everyone on the same bike) but I may have to bite the bullet next year and get some more ‘free’ i.e. ‘very expensive’ speed next year. The hill climb season was quite good, though I didn’t win as many races as previous seasons, and I had to get used to more 2nd places than usual. I made a big effort for the national on Jackson Bridge, but again was a couple of seconds off the podium. It was a good event though. Paul Jones’ book A Corinthian Endeavour was also great to read – a reminder of the great history of the hill climb championship. Recently there have been a few revelations of doping in amateur cycling – from under 18s to masters. I find it a little shocking and very disappointing. To me, it is summed up by a guy who won a junior national championship, but didn’t want to stay for the medal ceremony, instead he slinked off home early because he knew he was under investigation. That’s the thing about winning under false premises – there is no joy – only the opposite. You just hope these cases, act as a stark reminder and warning – what a terrible choice it is to cheat. It was hard coming back from Croatia. It may have been cold and windy. But, unless it rained all day, it was sunny – clear sky, clear roads and great mountain vistas. Britain is just grey and damp by comparison. Even when it’s not raining, the roads are wet. I do love cycling in Britain, but only as long as I can complain about things like the weather. 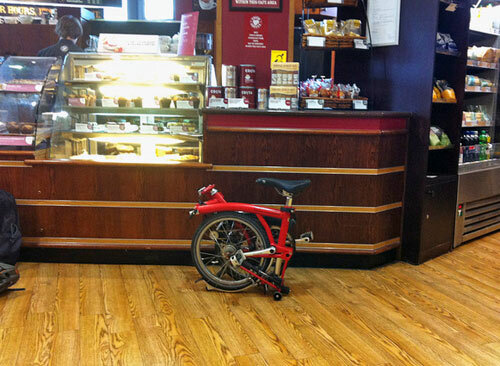 I went out last Sunday and independently, two people told me – what a great day for cycling it was. I thought this slightly ironic because I knew that when they said – ‘it was a great day for cycling’ – they had absolutely no intention to do any cycling themselves. One chap was sitting in a nice comfortable, centrally heated petrol station, the other chap momentarily got out of his centrally heated car. At least they were being friendly towards cyclists, I’ll take that in any form. I suppose a great day for cycling in January, primarily means it isn’t raining like cats and dogs. It was also 5 degrees above zero, so I guess I shouldn’t complain. But, I couldn’t quite share their enthusiasm for the ‘perfect day’ of cycling. If this is cycling heaven, I don’t want to go to cycling hell. I only made one New Years resolution – stop complaining about being over geared and buy a compact chain set. Alas, not only have I hopelessly failed in my New Year’s resolution , I’ve managed to make it worse. I researched a compact chain set, but got put off about spending £30 on a chain set when I realised I would have to buy a new bottom bracket too. The problem is I don’t want to spend £50 on better gear ratios because I’m saving up to buy a £800 custom skin suit. – Don’t try to understand cyclists, because we don’t make sense. The first thing I did on getting back from Croatia was to buy a map of the Pyranees. 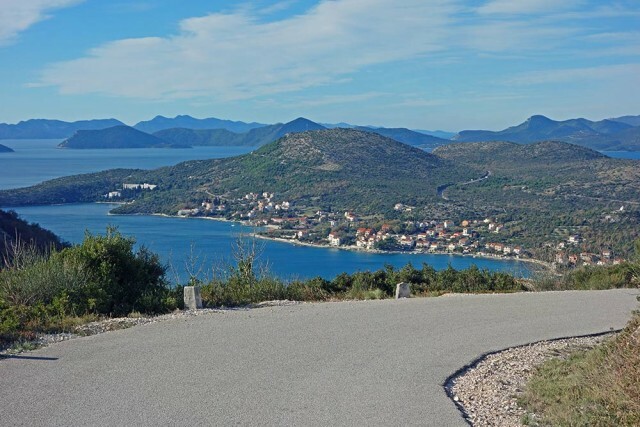 Cycling in Croatia has given me a taste for long mountain climbs and I’m itching to travel to real mountains in the south of France. 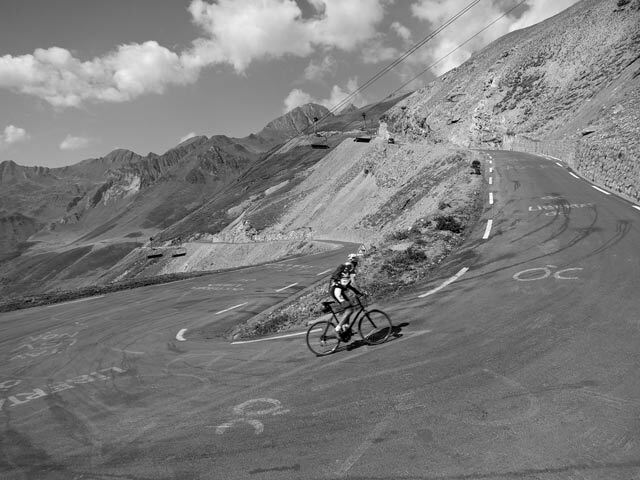 I love the climbs of the UK, but a 20 km ascent of the Col du Tormalet is a very different kind of challenge. My physiology is perfectly suited to 20km of uphill. The steeper and longer the better; it seems a shame not to use it. In Croatia I climbed 28,000 feet (8,500m) and only did about 300 miles. By the end of the ‘Croatia training camp’, I felt I could have climbed those 7% mountain roads all day. I did more climbing in the cold weather of Croatia than I did in summer or training for the national hill climb in October. The 2014 season didn’t make the most auspicious start. Getting knocked off the bike at 30mph by a kamikaze Portuguese dog. It was a shame because cycling in the Algarve was fantastic apart from the crazy dogs. It gave a taste for long European climbs, something I’d like to do more of sometime. From early March until late October, I’ve been racing fairly consistently, though the change from doing 100 mile time trials to hill climbs is as good as rest in a way. The day after the 100 mile time trial I was cycling into town. I knew I’d done a good ride because I was getting overtaken by all kinds of commuters on 3 speed bikes. There might have been a time when my pride would not have allowed me to be overtaken by a young women on a sit and up beg bicycle. But today pride was working the other way. 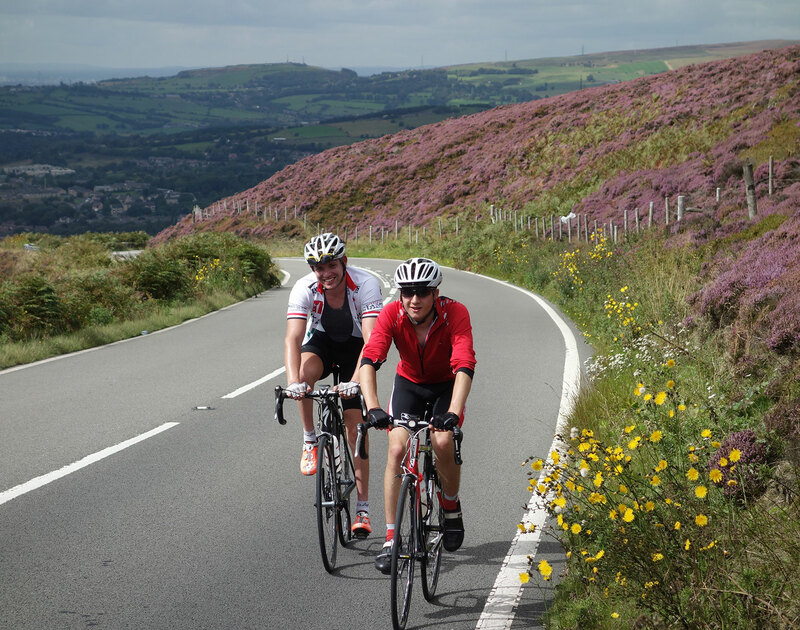 “I’ve smashed myself so much, I’m even getting overtaken by old lady on a a 1950s Hercules!” – That was a proper ride! The interesting thing is that after a long ride there is a great sense of satisfaction that can last at least a day, if not longer. In a strange way, you still feel the movement and effort in your legs; you can still remember the speed of flying down the dual-carriageway. It’s a bit like the day after going to Alton Towers – you still have the feeling of the roller-coasters in your body. If you’ve managed a pb, you get a lot of joy just by repeating the time to yourself. The other thing is that the day after riding a 100, you can’t wait to do the next one. It’s strange because your legs don’t at all feel like doing a 100. But your mind can’t start plotting how you can take off even more time off. – A bit more training, more power, better bike, less wind, faster course without potholes, and you can see your way to taking at least 15 minutes off your pb. My next race is actually the National 50 in two weeks time. Hopefully, I will be in good form for that. Though, first I need to recover from this 100. Yesterday was just 6 miles cycling into town and back (very slowly). Today I’ll go out for 2 hours steady and on Wednesday, I’ll see how the legs feel for doing some intervals. It depends how the legs feel, I may need another day of steady riding, it’s hard to say – it’s a long time since I last did a 100. I think this is all the attraction of long distance time-trialling – you really get value for money. The effort required is that much more, but you get an even more intense experience. Yesterday, I cycled out to Arncliffe. There was a strange fog of pollution, hanging over the Yorkshire Dales. They say it is partly dust from the Sahara, but I fear man made pollution could be making this a lot more common. Can you imagine living in a place, where it was always like this? I went out to do a 55 mile ride, I got a runny nose, like the start of the hayfever season. 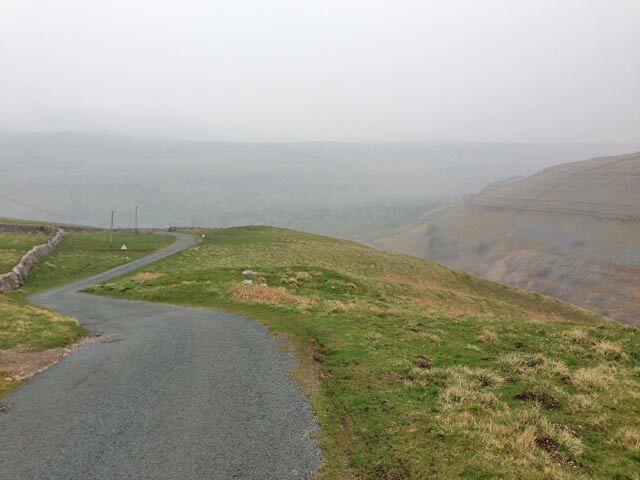 This climb to Arncliffe is always deserted. A nice cycling road, though the climb is pretty steep. 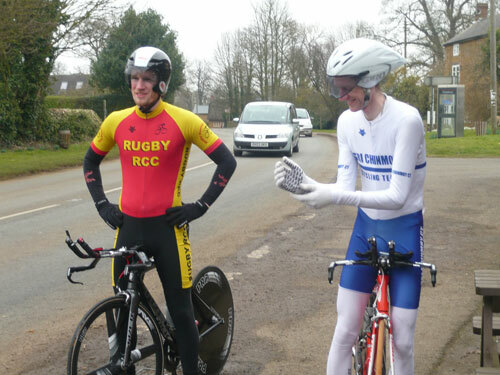 Today was second race of the season, Banbury Star Hilly 23 mile TT. I’ve done this early season race on quite a few occasions. One year was run off in a snow storm, leaving strong impressions of near hypothermia. This year, may be exceptionally wet, but it’s been mercifully mild, with very few frosts. Today, there was a stiff crosswind, but for early March conditions were relatively good. My pre-race routine was fairly relaxed. I ended up not doing very much of a warm up. I took my rollers, but the ground was too muddy and uneven to make it worth it. In the end I just rode rather aimlessly up and down a few different lanes. There’s probably a more scientific way to warm up, but that’s the good thing about early season races – there doesn’t feel much pressure. I made a last minute decision to get rid of my leg warmers, though I still had three thermal undervests and two layers of gloves. Rain was forecast for later, and one thing I’ve learnt from doing Banbury star hardriders – you rarely regret being too warm in early season races. I have a power meter on my bike this year. I only looked at it once or twice. It’s on my stem and requires considerable effort to look at it. After five minutes I looked at the power and it said 270 watts, I thought this was too low, so increased the effort. The main attraction of Banbury Star Hilly is Sunrising hill half way along. On the way out you descend the hill. On the way back after 15 miles or so, you go up. It’s quite steep and there’s a sharp hairpin. This year, the council are mid way through resurfacing – so it was a very lumpy and bumpy surface. I had to take it quite steady going down as it was hard to hold on to tribars with all the shaking. On the way back, it was difficult in a different way. It would make a good hill climb course, but when you’ve been racing at threshold for 30 minutes, it’s a different proposition to do a steep climb. I grovelled up in my lowest gear, mostly seated in the saddle to improve traction – vainly trying to find a smooth bit of road. There were a few local Banbury members out to give a shout. Once at the top, there is a final 4 miles. This was relatively fast. I was able to keep a reasonable power to the end, and finished in a time of 53.27. This was 5 seconds quicker than 2013, so a course PB by 5 seconds. Given the slow descent, I was quite happy with the time. With W.Sybrandy and M.Clinton DNS, I thought that might be good enough to retain the trophy. But, a young rider Dan Bigham from Oxford Brookes riding for AW Cycles, did a storming ride to win in a time of 52.34 – close to the course record. I spoke to Dan after the race, he is aiming for elite triathlon events later in the year. So I will make no more sarcastic comments about triathletes on my blog! 3rd was D.Axford with a mid 54.12 Fourth was Joshua Jones, Cambridge University CC 54.57. It was a record entry, with 60 people entering this tough early season opener. It’s rather nice to see sporting time trials increase in popularity. Overall, it was a good early season opener. Well organised as usual by Luke Souter and the Banbury Star CC. And for me a second. 2nd place of 2014. Fastest lady was Marina Bloom of Rugby CC, who in the past has won the women’s 24 hour TT championship with 424 miles – so just a short warm up today. My weighted power average for the race was 280watts. In one sense, this looks disappointing (though I don’t have much data to go on.) One observation is that it seems much easier to keep a high average when you’re riding on your rollers. On a course like today, you’re always going up and down, being blown around by the wind. It’s hard to get into a rhythm. But, I suppose that’s why racing on the road is more fun, than riding on the rollers. Back in November, Cycling Weekly did a feature about my background on cycling. They kindly agreed to making it available as a pdf. Also, another interview I did in November, was with Richard Lofthouse from Oxford Today – the magazine of Oxford University. I enjoyed that interview, Richard is a keen cyclist himself. It reminded me of my time riding with Oxford University Cycling Club. 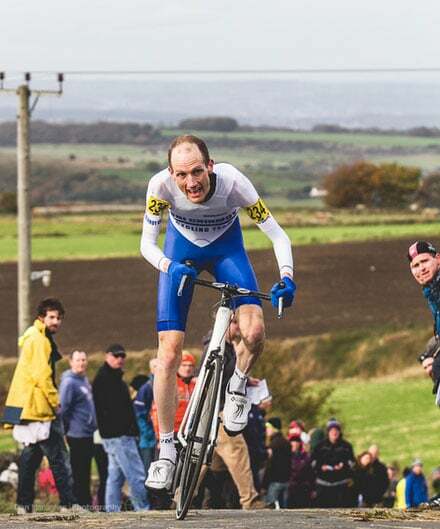 I only did one or two races in those days, though I was once club secretary and knew Jim Henderson who was winning hill climb titles even as a member of OUCC. One thing about Oxford University is that after finishing finals, my first job was working as a gardener at my own college. I later became a part time economics teacher. I think if I’d got a better paid job in the city, I would never have made a successful amateur cyclist. My friends had very long hours, which leave precious little time for training.